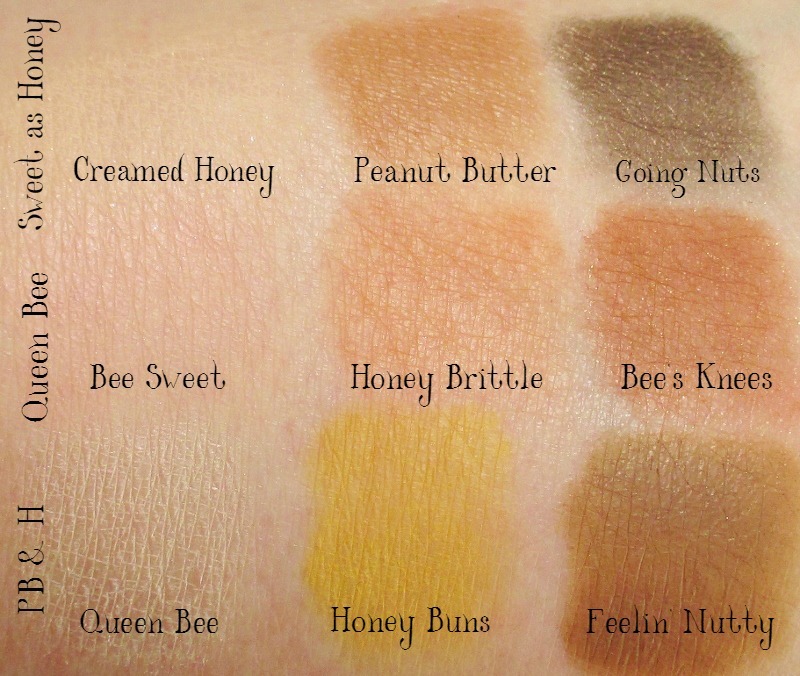 Why, it's the Too Faced Peanut Butter & Honey Eye Shadow Palette. 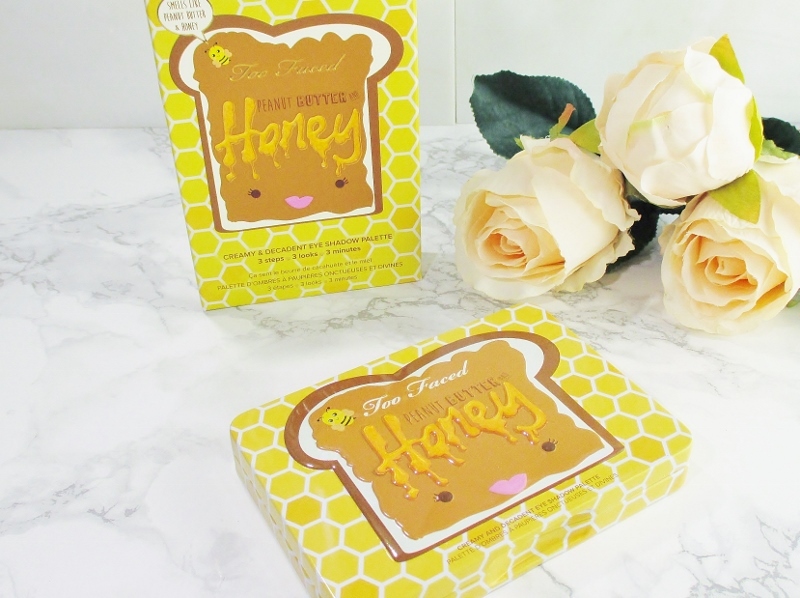 With a bright, happy golden yellow and white honeycomb pattern and a raised slice of honey drenched peanut butter toast, the adorable tin palette is a delight to my eyes. The smiling toast. The little bee. Cute! When I open the lid soft, sweet peanut butter, chocolate and a hint of honey wafts up to delight my nose, as well. In the lid is a primp ready mirror with an accordion folded romance card on which is printed the specifics about the palette and looks tutorials. There are three sets of three shadows set horizontally into three colour coordinated looks but all of the shades can mix and match to my heart's content. Sweet as Honey- Creamed Honey, a softly satin honey creme. Peanut Butter, a warm, satin light brown. Going Nuts, a deep greyed brown with bronze shimmer. Queen Bee- Bee Sweet, a soft satin pink. 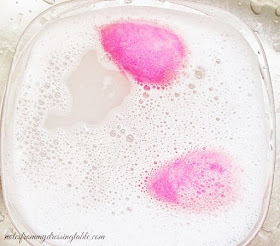 This shade can be used as a pale pink blush, as well. Honey Brittle is a satin matte dark peach. Bee's Knees is a warm, matte brown. PB & H- Queen Bee is an ivory satin. Honey Buns a golden yellow matte and Feelin' Nutty is a bronze-brown satin. I have heard very mixed reviews about this palette but I have to say, I like it! 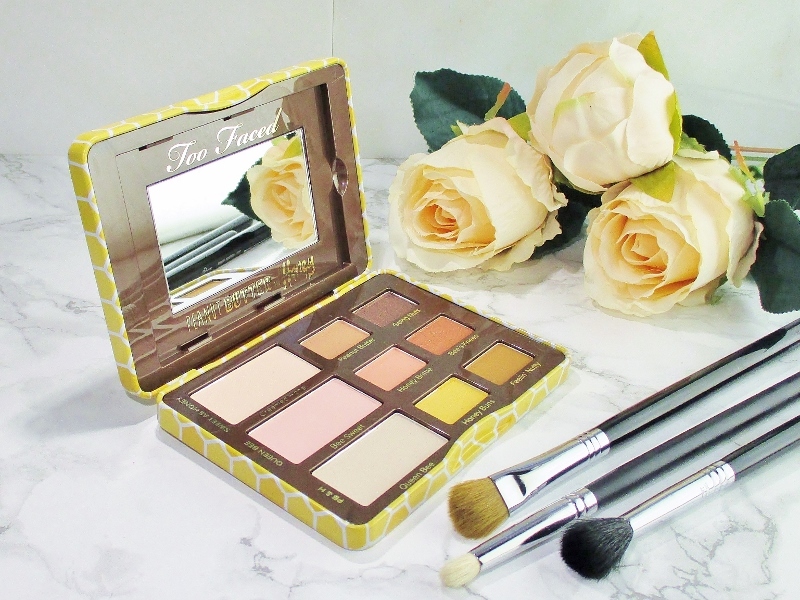 All of the warm, delicious colours can be used together and work and play well with other shadows from Too Faced and other brand palettes. These shadows apply, build, blend and deliver very pretty, neutral eye looks with a bright twist. 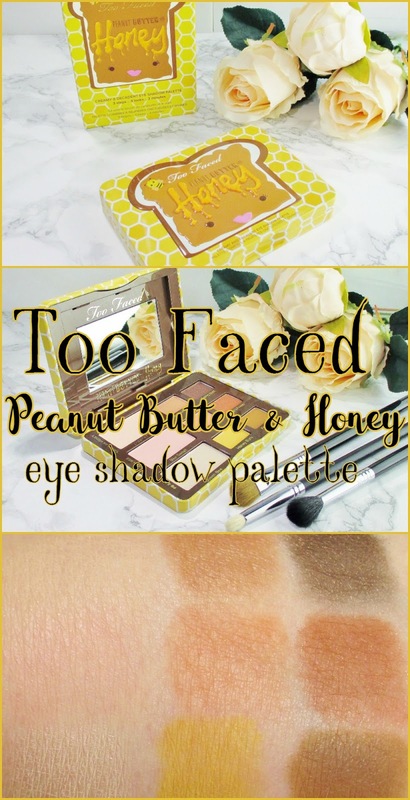 Is the Too Faced Peanut Butter & Honey Eye Shadow Palette the be all, end all palette? Nope. But it is a good palette. The colours are pretty, the quality is damned respectable and it smells lovely, too. I don't know that I will use this palette on a frequent basis and honestly, I don't care. I bought it to enjoy in my collection and to use, when the fancy strikes me and that is good enough for me. What say you, gentle reader? 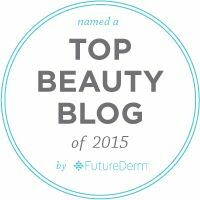 Do you own this palette? What do you think of it? If you don't yet have it, do you think that you may pick it up? Cute packaging on the palette. Right? That's half the reason I bought the thing! Such cute pix of this adorable palette. I passed on it because yellows are not my shades and I have the peachy and brown shades in other palettes. But I love the theme and the packaging. Have fun playing with it! I loved this palette! I'm a sucker for warm earthy tones! It looks like a very warm toned palette! These palettes are so cute but as Ulta exclusives they're near impossible to get in Canada without a makeup mule. I've been feeling the warm tones lately, so this is really up my alley! This is such a cute palette. It is a touch too warm-toned for me, but I really like it nonetheless! I like the look of this but I know it's too warm for my taste. I also worry about the fragrance of it.